Please notify Tim Bickford on 0414 699535 if you enter your car here for Concours as there are additional forms to be filled in before 21st July. 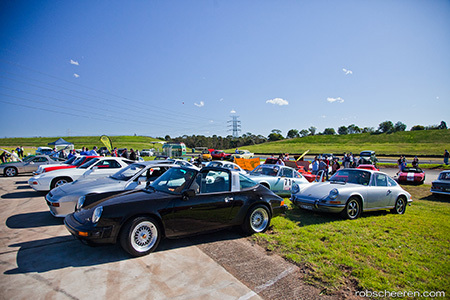 Porsche Club NSW have again been invited to display a representative sample of our members cars at the Shannons Sydney Classic. We have 20 places available and this entry is for one of those places. You will need to collect the CMC car ticket from Tim Bickford to park in the display area. He will contact you to make arrangements for collection. Members can also enter their cars in the Concours. To enter your car in the Concours Display, contact Tim Bickford on 0414 699 535 and registers@pcnsw.com.au as there are additional forms to fill in. sorts of memorabilia available for sale. show and much, much more !! Don't forget, this is very close to Father's Day, so come along and pick up a gift that Dad will love! It’s a day for all the family with lots of things for Dad, Mum & not forgetting the kids with clowns, ; face painting and lots more.